Blinky! The three-eyed crab from the Simpsons. Happy FSF everyone, this week we bring you Blinky! 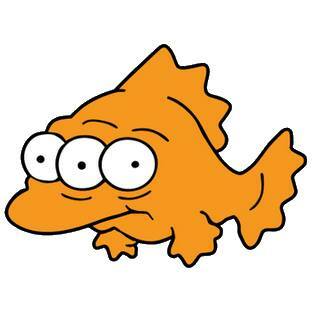 For the Simpsons aficionados amongst you, we are unfortunately not referring to the affable 3-Eyed fish, indicative of the radioactive influence of Springfield’s nuclear power plant. 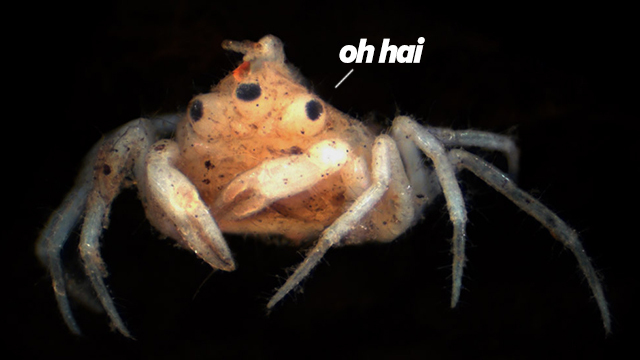 No Blinky is a real-life, 3-eyed crab, discovered and documented by German researcher Gerhard Scholtz and colleagues while working in New Zealand’s Hoteo River. Scholtz and co stumbled upon this 3-eyed organism, and must have wonder during their cursory inspection if they had discovered a new species, one that was defying the principles of bilateral animals. However, upon closer anatomical inspection Scholtz realized that the mystery crab was not a 3-eyed wonder species, but conjoined twins of the already identified Amarinus lacustris crab species. While not a new species, Scholtz’s rare finding in Kiwi waters can only leave one to ponder what other mysteries the ocean holds for us. Happy hunting yall! Big shout-out to Teresa Gaynor for bringing this cool information to my attention!